Sometimes it’s the little things that make the biggest impact. And in terms of savings, that can be especially true. Below are ten small steps you can take each month to making big strides in your savings for the year. Budget: Create a budget where each dollar you earn has a purpose. This not applies to paying bills, but also saving. This makes you proactive with your money and puts you in control of your finances. Just Ask: Can I get 10% off because the package is damaged? Do you accept competitor’s coupons? Most stores value customer service over saving a few pennies. So when they can, store managers should be happy to accommodate you. Pay with Cash: It reduces impulse shopping, which is a big savings drainer! You also have better negotiating power when you shop with cash. Share: Share responsibilities with neighbors and friends. Carpool for practices and babysit coop with two or three families. 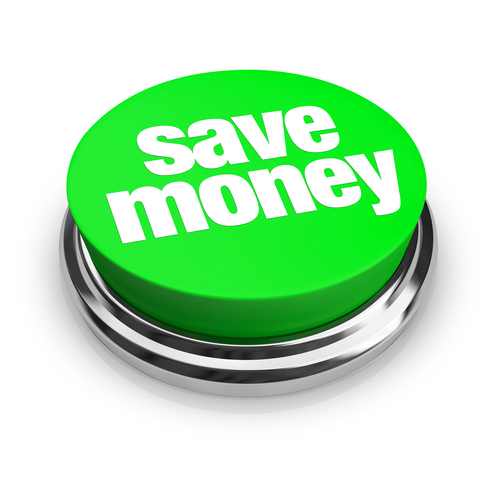 It will not only save you money, but may save your sanity. Loyalty Programs: Be loyal to businesses that offer on-going promotional programs. Sign up for points programs, text alerts and any other promotions they offer. Price Match: You can price match everything from groceries to electronics, helping you to get the best price in a very convenient way. Maximize your savings by price matching at businesses with loyalty programs. Utilize Apps: Thousands of apps help you save money on everything from dining out to clothes and travel. Download coupons, get rebates or search for the best deals all from the convenience of your phone. Automate: Many banks and businesses allow you to automate deposits and payments. Set up automatic withdrawal into your savings account and set up auto-pay on your bills. This helps you prioritize your savings and bill payment in advance of your casual spending. Save for Retirement: employer matches, tax benefits and compound returns make it one of your best vehicles for saving and securing a healthy financial future. Investment Technology: It’s great to allocate money into your 401k, but managing it is confusing and time-consuming. Use a robo advisor, such as blooom . Blooom will allocate your contributions correctly and maximize your investment potential through to your retirement. This entry was posted in Lifestyle and tagged 10 Ways to Save More Each Month.